Hon. 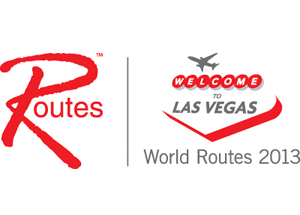 Alexandra Otway-Noel recently attended the World Routes Conference which was held at the Las Vegas Convention Center from 5–8 October 2013. Around 300 airlines, 750 airports and over 100 destinations were amongst the attendees for the World Routes Conference. During the conference the Minister had the opportunity to meet face to face with top airlines executives to discuss the potential of new air service to the destination. One of the highlights of the conference was the World Routes Strategy Summit, which was sponsored by Oman Airports Management Company and was held in partnership with ICAO and the World Bank. Also taking place during this year’s World Routes, was the first meeting of the Caribbean and Indian Ocean Vanilla islands. Chaired by Minister Alan St. Ange, the Seychelles Minister responsible for Tourism and Culture and the sitting President of the Indian Ocean Vanilla islands, some 40 Tourism Ministers and CEOs from the Caribbean and from the Indian Ocean Vanilla islands were invited for a historic meeting of these two groups known as the Small Island Developing States (SIDS) who are dependent on Tourism for their economy.